Ocelote discusses G2 Esports and its plans for 2019. Carlos “Ocelote” Rodríguez Santiago had a very successful professional career. But it’s what Ocelote has achieved since announcing his retirement in 2015 that you should be looking at. Ocelote founded G2 Esports, developed a world-class culture, and has built an organization that has won multiple majors. It’s for these reasons that he’s a keynote speaker at this year’s Esports Bar in Cannes—and he talked with us this week about his organization and its plans for success moving forward. When did you decide it was time to hang up the mouse and keyboard and move into the business side of esports? Ocelote: After nine years dominating the professional scene, I was no longer dreaming of MVP titles or being the one to raise trophies. I started dreaming about building something that outlasts me, that entertains people. I considered other options, including creating a game. I thought about perhaps creating a cool esports lifestyle brand, but in the end, my strengths of finding competitive success, brand building, and creating partnerships drove me to believe that building a team was my best fit. Was there much support for you to make this transition? I was very lucky when I created G2—because of my years as a professional player, I had many contacts within esports and was able to connect with great mentors, such as Jens Hilgers, G2 co-founder and chairman (also the founding partner of BITKRAFT Esports Ventures), who have helped me grow not only the G2 brand but also shaped me into the CEO that I am today. It was also through these connections I was able to secure my first investment and create the company we have today. What were some of your biggest challenges when you were just starting out? In the entertainment industry, fans can make or break a company—and since G2 Esports is at the core an entertainment brand, it was very important to gain the backing of the fans. Learning to market the brand even if we weren’t winning and showing our value to the audience outside of just being good at all games was a big learning curve for me and G2. Finding marketability through showcasing player personalities and playing a role of a character that has fun, is sharp, self-deprecating and loves the action, was the key to building the brand G2 Esports is today. Founded in 2013, G2 has since grown into one of the most recognized brands in esports. What are some of the moments that helped define this success? We’ve had so many competitive successes over the years that I am very proud to see that we’ve grown an organization that enables players to be their best. After a long struggle, finally qualifying for the EU LCS was a great success for us, and becoming fan favorites in the league was another win. Our journey came full circle in 2018 as we not only gained our spot in the LEC but also made it to the semifinals at Worlds. I think these past successes are great, but we are always looking forward at G2 to the next best thing. We are doubling down international growth, creating even more original content, improving our business practices, and striving to have even more competitive success in the largest games on the planet. Is there any moment where you sat back and thought, “Wow, we made it”? Thankfully, I never get to truly enjoy some peace. My fulfillment in this job comes from being in a constant state of growth. Every time something goes wrong for us, we pivot and double down until we get it right. Every time something goes right for us, we double down and try to keep that momentum up. As a result, there is never a time of relaxation where we get to enjoy a job well done. I believe this constant state of growth is what keeps us on our toes and ensures the success of the organization at large for years to come. G2 is known for having a very supportive, respectful environment. How do you as an organization ensure this level of professionalism? Because we run with a relatively small team, it is important that everyone not only be the best at their jobs but also respects the work of others. One key is to have a good mix of young passionate staff and experienced senior management always choosing the best person for the job. This enables us to keep up with the fast-paced world of esports while also building a sustainable business. Bringing in people with experience from more traditional industries, such as Peter Mucha our COO, or Lindsey Eckhouse our Commercial Director, has taught us how to keep the fun side of esports while taking care of the serious business of growing a global organization. The scene has grown immensely since you were a player. Did you ever envision it getting to this scale internationally? Of course, my dream is for esports to be the No. 1 entertainment genre in the world—and our industry is well on its way there. The growth of the industry goes hand in hand with my goals to make G2 the most accomplished and entertaining media company in competitive video games. What actions do you think G2 and the wider esports community need to take to grow the scene even more? Revenue models for esports organizations need to evolve to grow the industry sustainably. For G2, this means we have just expanded our partnerships team by bringing in two experts, Lindsey Eckhouse from the NFL and Sabrina Ratih from Red Bull, to revamp our entire partnership structure and create a new model that provides the best value for our team, our partners, and, most importantly, our fans. Any esports organization must make money to continue to provide the best for its players and entertain the audience, so having the best sponsor and partner agreements is the way forward to make the industry grow. What’s on the horizon for G2? Is there any big news that you can share with us? We have a lot of really cool things coming this year for G2. While I can’t give many details yet, I have no doubt that the #G2ARMY will be really happy with our plans. One of our major goals for this year is to encourage our fans to be even more involved with G2 in daily life and in person. We are working on initiatives to provide fans with the tools to interact with our organization directly outside of events and places like the LEC Studios. Also, our merchandise drops starting this spring will be absolute fire. I recommend keeping a close eye on www.g2esports.com/shop. Finally, what are some tips you would give to aspiring team owners or smaller organizations? Just… start. Start building it. Make mistakes. Try out content. Try out teams. Try stuff. One thing I will always remember as a former professional player is how, regardless of how good the best players on Earth were, their win rate never surpassed 60 percent. This means that even the best players on Earth lose more than 40 percent of their games. It’s all about trial and error really. 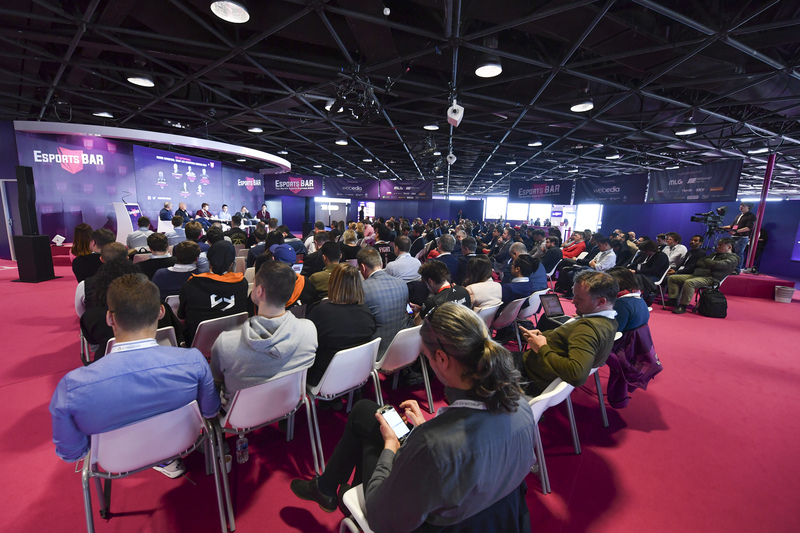 From Feb. 12 to 14, Esports BAR Cannes brings industry leaders together with a three-day forum program featuring mentoring and insights to develop business expertise in esports. You can find out more and purchase tickets through the official Esports Bar website.